I work as a Dietitian in Gastroenterology and Neurogastroenterology at University College London Hospital, a specialist tertiary care hospital in central London. Neurogastroenterology is not only interested in the physiology and motility of the gut but also how the gut functions and in particular the interactions between the gut and the brain. The difference between the ‘gastro’ and ‘neurogastro’ patients we see often comes down the severity of the gastrointestinal symptoms they experience, their non-response to typical treatments and the complexities related to their other gastro and non-gastro medical conditions. The most common diagnosed conditions we see in neurogastroenterology include severe IBS, gastroparesis, chronic constipation, functional dyspepsia, Ehlers-Danlos Syndrome, nausea and vomiting disorders and other gut motility issues including chronic diarrhoea. It is not uncommon in the patients we see to have disordered eating or an eating disorder and/or psychological factors including stress, anxiety and depression or other mental health conditions. We have found the only way to successfully manage neurogastro patients is to follow a biopsychosocial model of care. This model of care is fully explained in the first article linked below but is summarised nicely in this short video by Dr Brennan Spiegel. I am not sure how many other dietitians work specifically in neurogastroenterology or use a biopsychosocial model. Certainly dietitians will be seeing patients with these complex conditions and severe GI symptoms and will find the articles linked below very useful (as will the patients). The complexities seen in neurogastro patients make dietary treatment challenging and ensuring a good understanding of all the factors that could be contributing to their severe GI symptoms is essential. I have found the research papers below crucial in helping to define dietary treatment options. I very briefly discuss my Dietetic Neurogastroenterology role at UCLH in this AHP (Allied Health Professionals) video told through patient experience. My bit starts at 9.04. We believe treating patients who have a combination of either severe functional gastrointestinal symptoms, gut dysmotility, psychological conditions and/or disordered eating requires a biopsychosocial model. Our biopsychosocial model includes a consultant neurogastroenterologist, specialist dietitian and a clinical nurse specialist that focuses on gut focused psychology all working together to treat patients. A wider team of specialist is also involved but these 3 professionals are the core specialist within the team. We are seeing an improvement in coping mechanisms for psychological factors, a reduction in functional gastrointestinal symptoms and the prevention of patients following increasingly restricted diets and/or requiring medical nutrition (tube feeding). Biopsychosocial Aspects of Functional Gastrointestinal Disorders by Van Oudenhove et al 2016 provides a fantastic overview of this model of care and has some great summary figures like the one below. Currently this article requires access to Gastroenterology by the the American Gastroenterology Association Institute. Additionally the supplementary material provides a useful overview of assessment tools that can assist in obtaining a more comprehensive assessment of a range of psychological factors in these patients. Gastroparesis is a condition I had not seen that often until I started working at a tertiary care hospital. Indeed gastroparesis is still a relatively unknown condition amongst health care professionals including dietitians and general practitioners. However I have to admit I am not sure a diagnosis of gastroparesis is a useful diagnosis. Regardless in my dietetic neurogastroenterology clinics I would estimate 1/4 of the patients we see could be diagnosed with gastroparesis. Gastroparesis is diagnosed as delayed gastric emptying which basically means the stomach digests food very slowly. We have found the vast majority of patients with gastroparesis respond well to dietary modifications and adopting their patterns of eating. This dietary advice can reduce the severity of their symptoms which are mainly pain, nausea and vomiting after eating and drinking. The effectiveness of these relatively simple dietary changes prevent patients from losing significant weight and avoid relying on medical nutrition (tube feeding). For a good overview of the evidence for dietary treatment in gastroparesis then the Clinical Guideline: Management of Gastroparesis by Camilleri et al 2013 is the most useful paper to refer to. This guideline paper is also open access and although it is a few years old there has unfortunately been little further nutrition research into gastroparesis that could have be included in an updated version. As you can see from the image below there is a low level of evidence for all current dietary management and we believe a lot more can be researched in the area of nutrition and gastroparesis / functional dyspepsia. Despite being nearly as prevalent as IBS, functional dyspepsia is no where near as well know as IBS and often patients we see will have IBS symptoms and symptoms of functional dyspepsia. Symptoms used to define functional dyspepsia include early satiety, fullness, pain and nausea. In clinical practice patients we see may also have gastroparesis or chronic constipation and experience dyspeptic symptoms. The most common form of functional dyspepsia is postprandial distress syndrome (PDS) where patients experience dyspeptic symptoms after eating or drinking. If symptoms are severe it can easily lead to restricted food intake and disordered eating as all food and fluid seems to trigger symptoms. We have seen there are several dietary modifications and specific diets that can improve symptoms of functional dyspepsia and avoid disordered eating behaviours and functional dyspepsia really is an area ripe for dietetic research. The best paper I have found that explains everything you would want to know about Functional Dyspepsia by Enck et al 2017 is found in Nature as one of their excellent ‘Primer’ papers. It includes a good section on nutrition interventions but unfortunately is only available to those who have access to the Nature journal. Normal-transit constipation and constipation predominant irritable bowel syndrome (IBS-C) are typically the most common diagnosis seen in dietetic clinic. However in the dietetic neurogastroenterology clinic it is typically slow transit constipation I treat which is one cause of chronic constipation. Patients who have rectal evacuation disorders (another cause of chronic constipation) such as dyssynergic defecation are treated by the bowel retraining team with effective results but may be seen for dietetic advice as well. 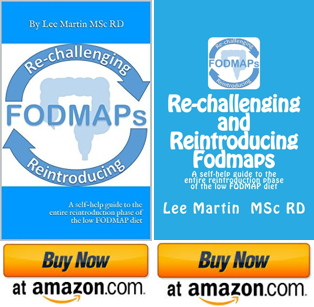 Treating chronic constipation is difficult and there are no evidenced based effective dietary treatments therefore a trial and error approach to dietary is required along with lots of lateral thinking. The ‘Primer’ article found in Nature titled Chronic Constipation by Camilleri et al 2017 is a super detailed paper and provides all the background on chronic constipation you need. Unsurprisingly the nutrition section is small due to the complete lack of research in this area. Like the Functional Dyspepsia Primer above unfortunately this article is only available to those who have access to the Nature journal. We see many patients with nausea and vomiting as their primary and/or most troubling symptoms. For a small minority of patients they fit the Rome IV criteria for the diagnosis of cyclic vomiting syndrome (CVS). This paper by Bhandari and colleagues published in 2018 entitled ‘Cyclic vomiting syndrome: epidemiology, diagnosis, and treatment’ provides the most useful overview of CVS I have found and has a great treatment algorithm as shown below. I’ve just set up a new service in Dublin Ireland for FGID and I find the whole area of neurogastroenterology fascinating. I’ve seen many patients with severe GI symptoms and disordered eating but often feel all avenues are exhausted and there’s not a lot I can do to help. Some patients were sent to UK in the past for assessment as unfortunately there’s no neuroGI speciality in Ireland. Thanks a lot for sharing these papers. Can’t wait to read! Thanks Elaine. For those with severe GI symptoms and disordered eating you certainly need a whole team approach, all providing the same messages and including gut focused psychology otherwise it is impossible to support these patients effectively. Enjoy the papers.